This Visa is obtained at the American Embassy nearest to your home. If B-2, letter of invitation from friend or relative in united States, including round trip ticket or a notarized affidavit of support. Even if alien submits all of the above documentation, can VISA be denied? Yes. All consular action is discretionary. The counsel official will be focusing on the alien’s intent. Is he really visiting or does he intend to stay permanently? It is up to the alien, through documentation and personal presentation, however brief, to convince the consular officer of the temporary nature of the business or visit. *A visa beginning with an alphabetical letter is a temporary or Non-Immigrant Visa. A visa for permanent residency is an Immigration Visa or “Green Card” (Form I-551). If VISA is granted, what is the next step? With a Visa officially stamped in the passport, the next step will be to gain entry at the port of admission. Whether the alien comes by plane, land or boat, he will have to be inspected by a United States Immigration Inspector at the United States border. If the papers are in order and he is convinced of the alien’s true intent he will stamp the passport with the date and place of entry and issue an “Arrival-Departure Record” – Form I-94. The form I-94 states the alien’s name, date of birth and country of citizenship. On the right hand side of the card, the United States Immigration Officer will place a stamp with the port of entry status, e.g. “B-2”, date of admission and date when stay expires. The inspector will affix this card to aliens passport and allow him to enter. At the present time Treaty Trader (E-1) status is available under treaties of commerce and navigation to nationals of Argentina, Australia, Austria, Belgium, Bolivia, Brunei, Canada, China, Taiwan, Colombia, Costa Rica, Denmark, Estonia, Ethiopia, Finland, France (includes Martinique, Guadeloupe, French Guiana, Reunion), Germany, Greece, Honduras, Iran, Ireland, Israel, Italy, Japan, Korea, Latvia, Liberia, Luxembourg, Mexico, Netherlands (includes Aruba and Netherlands Antilles), Oman, Norway, Pakistan, Paraguay, Philippines, Spain, Suriname, Sweden, Switzerland, Thailand, Togo, Turkey, United Kingdom, Yugoslavia, Zaire. Alien must be entering the United States solely to carry on substantial trade (more than 50%), principally between the United States and the foreign state of which alien is a national. Substantial trade does not refer to monetary value but rather volume of trade. Treaty Investor (E-2) status is available for nationals of Albania, Argentina, Armenia, Australia, Austria, Bangladesh, Belgium, Bulgaria, Cameroon, Canada, China (Taiwan), Colombia, Costa Rica, Czech Republic, Ecuador, Ireland, Egypt, Estonia, Ethiopia, Finland, France, Georgia, Germany, Grenada, Honduras, Iran, Ireland, Italy, Japan, Kazakhstan, Korea, Kyrgyzstan, Latvia, Liberia, Luxembourg, Mexico, Moldova, Mongolia, Morocco, Netherlands, Norway, Oman, Pakistan, Panama, Paraguay, Philippines, Poland, Rumania, Russia, Senegal, Slovak Republic, Spain, Sri-Lanka, Suriname, Sweden, Switzerland, The Congo, Thailand, Togo, Trinidad and Tobago, Tunisia, Turkey, Ukraine, United Kingdom, Yugoslavia, Zaire. Alien must establish that he seeks to enter the United States solely to develop and direct the operations of an enterprise in which he has invested or of an enterprise in which he is actively in the process of investing a substantial amount of capital ($100,000.00 + at risk). The investment cannot be alien’s only source of income. He must have invested or be in the process of investing capital in a bona fide enterprise and cannot be seeking to proceed to the United States in connection with the investment of a small amount of capital in a marginal enterprise solely to earn a living or he must be employed by a treaty investor in a responsible capacity and that the employer is a foreign person or organization of your same nationality and he intends to depart from the United States upon termination of status. To qualify for a student status the alien must be a bona fide student qualified to pursue a full course of study. He cannot pursue part-time studies. It is important to choose a school that is registered with the Immigration and Naturalization Service because they are authorized to issue student Eligibility Form I-20. Where does alien obtain this VISA? If he is in the home country, the American Embassy will stamp the F-1 Visa in his passport. 7If he is visiting the United States, and decides he wants to stay and study, he can apply for a “Change of Status”. This procedure permits him to change from a B-1 or B-2 visa to an F-1 visa. Form I-20 – Furnish a “Certificate of Eligibility” – Form I-20 (Appendix “E”) from the school which he wishes to attend in the United States. Form I-864 – Furnish a completed “Affidavit of Support” – Form I-864 (Appendix “F”). This form should be completed by the person who actually will be supporting the alien during his stay in the United States and should be accompanied by suporting documentation to establish means of support. School Application – Provide the date on which alien initially applied for admission at the school listed on the Form I-20. Furnish documentary evidence. If English is his second language, must have the TEFL with a minimum score of 500 on a paper-based test or a minimum score of 173 on a computer-based test. If you are in the U.S. you must take an English Placement Test along with a writing sample which is given in place of the TOEFL. An official letter of the results of your English test must be attached or on file in the International Admissions Office at the Downtown Center before your application for admission will be considered. Confidential Financial Statement Form with a signature from your sponsor, along with a bank letter showing U.S. funds available. A minimum of S16,000 per year (US$5,800 for tuition and books and US$10,200 for living expenses). Copies of all your educational records through the highest level completed. University records must be translated into English by an official translation service. High school transcripts do not have to be translated, with the exception of Asian, Hebrew or Arabic. A US$75.00 non-refundable check or money order application fee. When transferring from any other educational institution, the requirements for admission are that copies of ALL previous education transcripts MUST be submitted in addition to the application, the US$75.00 application fee, a copy of your I-20 form from the previous school you attended and all other requirements. Transferring students are provisionally accepted until their transcripts are received and their full-time status and grade point average of 2.0 are verified. Students must maintain full-time status and a grade point average of 2.0 or they will be administratively withdrawn. 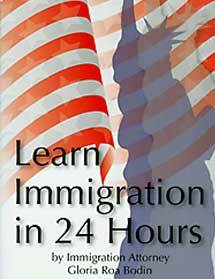 If you fail to do this, you will be out of status with the immigration and Naturalization Service (INS). International students must register as a “full-time student’. In a minimum of 12 semester hours during the fall and winter terms. If the summer term is your first term, you must also register for a minimum of 12 semester hours in that term. International students must enroll continuously in appropriate English language courses as prescribed by the English Department until all English requirements for the degree are completed. International students who do not meet all the above academic regulations and standards of performance for any term will not be permitted to attend the following term. They will be administratively withdrawn from the college and a 100 percent refund will be given to the student for any fees paid for the term following the violation of the academic regulations and the standards of performance. TOEFL Test Date – Provide the date alien applied to take the TOEFL exam. Furnish documentary proof. Funds in the U.S.A. – Submit documentary evidence to show what funds, if any, alien presently has in the U.S.A., e.g. bank statements, copies of savings books, etc. Educational Background – provide a statement regarding the previous educational training alien has received; including names of school or universities, dates of attendance and degrees earned including transcripts. Reason for Schooling – If the application indicated that alien has not been a student for many years, provide a statement regarding his reasons for returning to school at this time and an explanation regarding how such schooling would benefit upon his return to the home country. Valid Passport – Alien’s passport must be valid for a period of six months beyond the requested stay. If applying for a change of status, submit “Application for Change of non-Immigrant Status” – Form I-539 (Appendix “D”), Form I-94 and filing fe of $75,00 with above documents. EVEN IF ALIEN SUBMITS ALL OF THE ABOVE DOCUMENTS, CAN VISA BE DENIED? Assuming alien meets all the requirements, a change of status to an F-1 Visa will be denied if it appears that alien’s intent is not to visit but to study. For example, he visits the school, registers and receives the I-20 one day after entry with a tourist (visitor’s) visa (B-1/B-2). Obviously, alien had the “preconceived” intent to study. If so, that is grounds for denial because he misrepresented his true intent when he entered as a visitor. This is a classic denial situation and a majority of intending students fall into this trap. If alien is in the States visiting for several months and then decides to study, it will be difficult to prove preconceived intent. Similarly, if alien is in his home country and assuming all documents are in order, the counsel officer will deny the application if his intent appears to be to permanently reside in the United States. IF VISA IS GRANTED WHAT IS THE NEXT STEP? Alien must commence full-time studies to maintain his status. HOW LONG WILL ALIEN BE GRANTED? Unlike other visas that have a final expiration date, a student visa is granted for a duration of status or “D/S”. With this status he can transfer to a new school upon completion of one course of study. Alien can stay and study for as long as he is a bona fide student or for “duration of status”. Assuming alien meets all the requirements, a change of status to an F-1 Visa will be denied if it appears that that alien’s intent is not to visit but to study. For example, he visits the school, registers and receives the I-20 one day after entry with a tourist (visitor’s) visa (B-1/B-2). Obviously, alien had the “preconceived” intent to study. If so, that is grounds for denial because he misinterpreted his true intent when he entered as a visitor. This is a classic denial situation and a majority of intending students fall into this fall into this trap. If alien is in the States visiting for several months and then decides to study, it will be difficult to prove preconceived intent. Similarly, if alien is in his home country and assuming all documents are in order, the counsel officer will deny the application if his intent appears to be permanently residing in the United States. Hint: Preconceived intent is the principal cause of a denial. Alien must present a Form IAP-66 to the U.S. Embassy nearest his or her home. Once this form is processed by the consular official and the “J” Visa is stamped in the passport, it will permit him to enter at the U.S. port of entry. The form IAP-66 will be issued to alien by your U.S. sponsor, either an organization or international agency with offices in the United States. This visa brings applicant as an exchange visitor to the United States to learn skills that can be taken back to his home country. Certain “J” visa holders have a “Two Year Residency Requirement”. This requires that the J-1 visa holder and his dependents return to their home country (or their last country of residence) for a two year period before they can change to another temporary visa, e.g. “H” or “L” or apply for a permanent residency. documentation that the parties have met within the two years immediately preceding the filing of the petition and that both parties have the legal capacity to marry within the ninety days of entry including termination of prior marriage. This visa is highly recommended because after a year of substantial business activity it can be converted to a “Green Card”. An executive or manager can transfer to the United States to engage in a position involving executive or managerial skills. The employer must be transferring him to a subsidiary or branch of the parent company and he must have at least one year’s experience with the parent company before he is eligible for a transfer. This visa permits him to work in the United States for at least five to six years and has the potential, if entered as an executive or manager, to be converted to lawful permanent residency or “Green Card”. This approach will be explored in a later chapter. License/permits to operate a United States company. Lease/deed for United States premises. Employer’s wage and tax report and copy of quarterly income tax return for United States location. Stock certificate or documentary evidence showing the exact ownership of the United States and foreign company and evidence establishing the claimed affiliation. The foreign corporation or parent must own over fifty-one (51%) percent of the shares of the U.S. Corporation. Bank letter (evidence showing authorization and/or transfer of funds to the United States from the foreign branch). Articles of incorporation and State Charter Number. Current financial statements Invoices, brochures, contracts, etc. Hint: If alien is eligible for an “E” or an “L” visa, apply for the “L” since it gives him the benefit, in the future, of applying for lawful permanent residency. HOW LONG A STAY WILL HE BE GRANTED? L-1 visas are given for up to seven years duration. Initially for a new company it is granted for one year. Any company can receive an L-1 for three years, then another three years, and, finally, one final year. 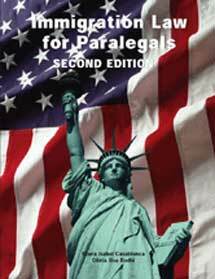 L-2 spouses and unmarried children under 21 years old of an L-1 holder are eligible for L-2 visa. 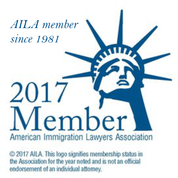 An L-2 visa does not grant work authorization. The O-1 is available to aliens who can demonstrate “extraordinary ability” in the sciences, arts, education, business, or athletics; and to certain aliens accompanying assisting those aliens and their family members. The most exacting standard applies to aliens who work in the sciences, education business, and athletics; a less rigorous standard applies to individuals in the arts; the intermediate standard applies to aliens of extraordinary achievement in the motion picture or television industries. “O-2” VISA: For alien seeking to accompany an O-1 applicant who are integral to the performance and have critical skills and experience with the O-1 alien. “O-3” VISA: For spouses and children of O-1 and O-2 aliens. The “O” VISA category allows a stay for the duration of the event but not beyond a ten year period. “P-1” VISA: For internationally recognized athletes and entertainers having a foreign residency. “P-2” VISA: For athletes and entertainers seeking entry under the reciprocal exchange program. “P-3” VISA: For artists and entertainers seeking to enter under a program that is culturally unique. “P-4” VISA: For spouse and children of “P” Visa Holders. The “P” Visa classification permits an alien to remain in the U.S. for the course of the event but not exceeding five years.